Justin Thomas might still be best known as Jordan Spieth's buddy—but he's also known as a big part of the social media explosion that was SB2K16. On this week's edition of GOLF LIVE, Thomas opened up about his much buzzed-about getaway in the Bahamas last month with Spieth, Rickie Fowler and Smylie Kaufman. "None of us had ever had a spring break," Thomas told host Ryan Asselta. "We're just a bunch of young guys trying to have fun. We need to act our age sometimes." That meant forgetting about the stresses of Tour life. 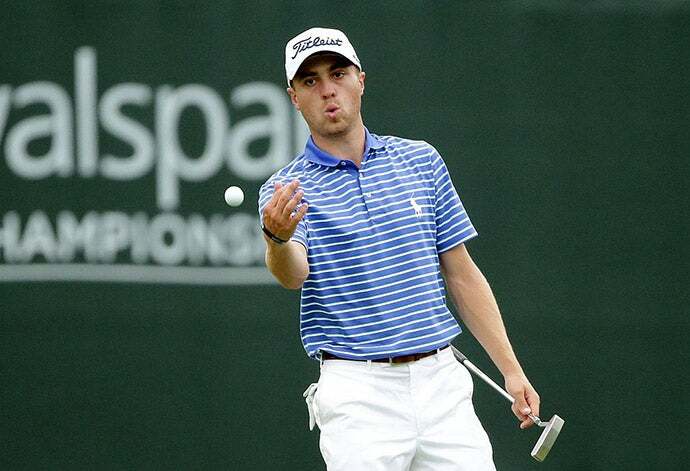 Thomas said the group never brought up or talked about Spieth’s very public collapse at the Masters. "What happens on the golf course doesn’t really define us when we’re around each other," he said. Thomas added that he's hopeful that the trip will become an annual tradition. The 23-year-old also talked about what it's like to play golf with University of Alabama coach Nick Saban. Thomas played golf at the University of Alabama and remains a devoted fan of the Crimson Tide football team—including the coach. Thomas praised the famously intense Saban’s skills on the course and said that Saban was “serious” about his golf game. As for the U.S. Open at Oakmont, for Thomas it will be a kind of homecoming. Thomas’s extended family lives in the Pittsburgh area and he has been visiting since he was a child.